I am totally that person who has their Christmas shopping done before Halloween (lies). I also love, love, love shopping for toys (more lies), and get so much pleasure out of meticulously wrapping and decorating each package with a color coded theme that changes each year (okay, that part is true). I’m not writing this piece to give you holiday anxiety, but my kids’ birthdays are both coming up, so gift buying is on my mind. I have one born in October, one in November and then Christmas in December, so we refer to this as the three months of endless celebration and card swiping. I will brag on myself a bit though, I’m really good at finding interesting presents that are both educational and fun. 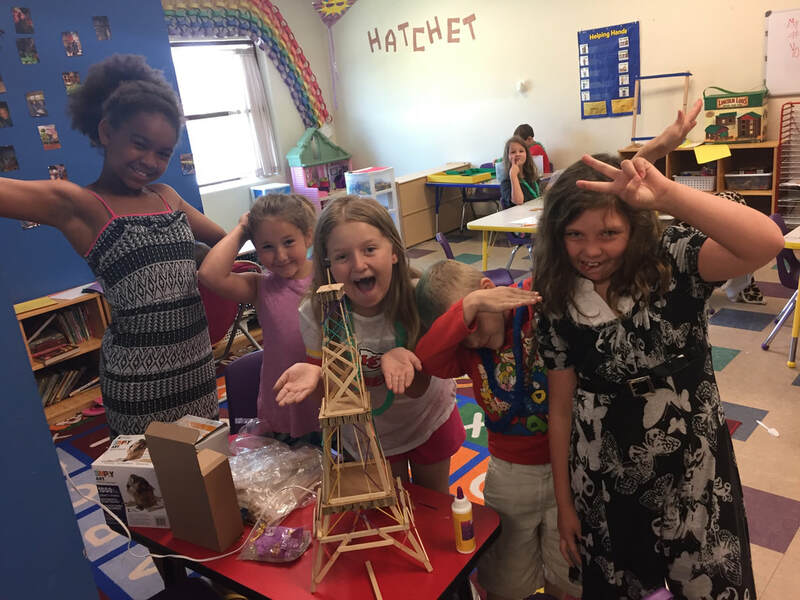 We really don’t have anything in our house that doesn’t get played with and most of what we have incorporates some aspect of the STEAM (Science, Technology, Engineering, Art, and Math) approach to learning and playing. 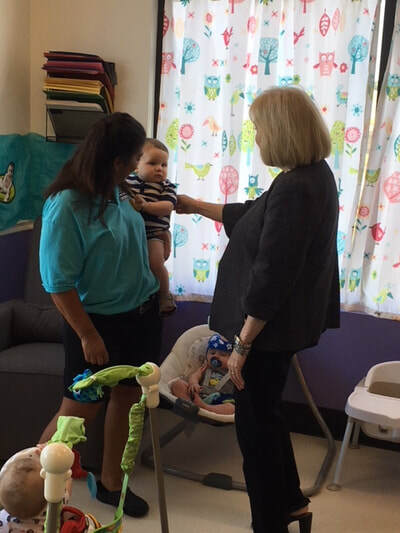 The idea is to find toys that allow kids to have a new experience every time they pick them up. So, whether you’re getting a head start on Christmas shopping or you need an idea for that next birthday party you’ve been invited to, here are a few of my favorite toys that will get those kids thinking at every age. 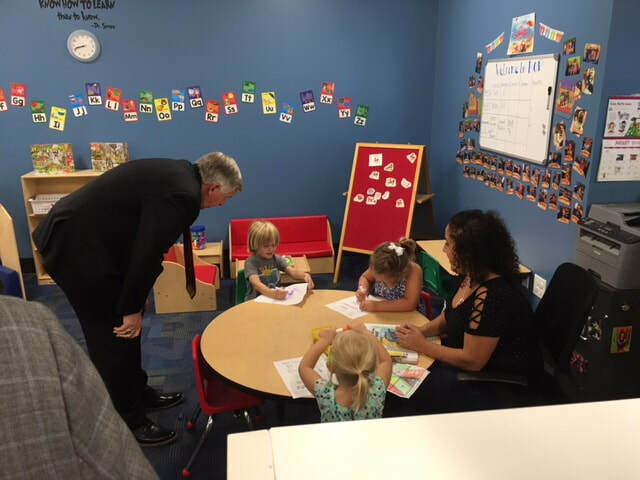 I will provide a link to the particular ones we have (or will be purchasing), but a simple Amazon search will bring up other options that may be a better fit depending on your child’s age. Magnetic Gears: From the time my kids could sit up, they loved playing with magnets at the fridge while I cooked or worked in the kitchen. 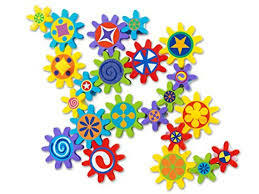 We had letters, animals, and these awesome gears. Nuts and Bolts Play Set: These come with design ideas for the kiddos or they can innovate and make their own creations. Following directions – good. Following your imagination – even better. 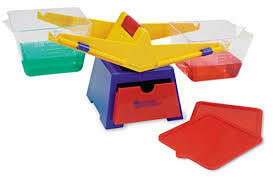 Balance Scale: My kids have spent hours weighing everything they can get their hands on. I actually bought this after my son’s teacher said he had stayed in the Math area all morning doing exactly that. I never would have thought to pick one up, but I’m glad I did! 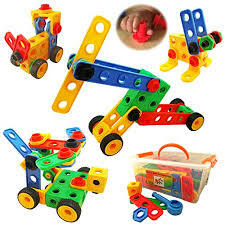 Fort Construction Kit: These are basically giant Tinker Toys (also a great STEAM toy). You will seriously have as much fun with these as the kids do. There is no limit to the possible combinations, and after putting the pieces together you can drape a sheet over it for a private, multi-room fort. 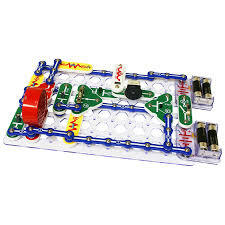 Snap Circuits: Okay, this is some serious brain fun, and it sparks really interesting discussions about electricity, cause and effect, sound and movement. My son enjoyed following the directions with me and then innovating to create his own circuits. 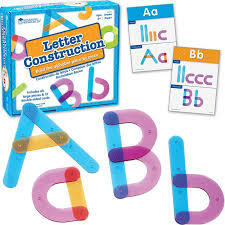 Letter Construction or Alpha Build: These are kits that allow kids to experiment with letters in a tactile way. 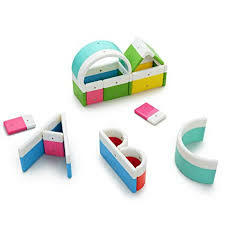 Letter Construction is a snap together set, while Alpha Build is a magnetic kit. Both have pieces to build capital or lower case letters (or other fun shapes and designs). 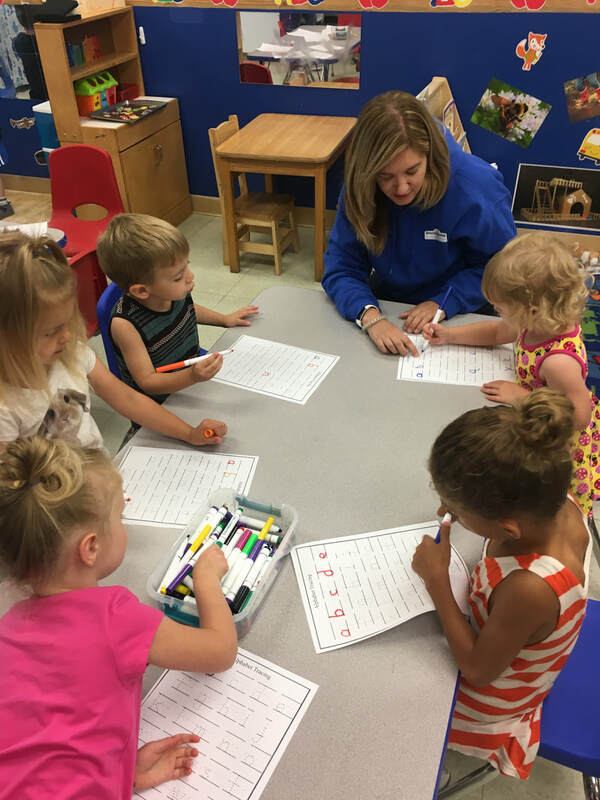 It’s a great way to work on letters before kiddos have the fine motor skills required to write them. Geode Kits: My kids are obsessed with rocks. We have collected them from all over the world and have built up quite an interesting collection. 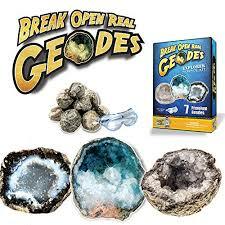 Geode kits are a great introduction into the world of rocks. With this kit, you can break open the rocks to reveal fun surprises like fossils, crystals or small toys. 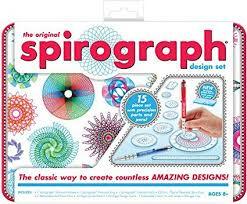 Spirograph: I had one of these kits when I was young and remember having hours of fun with it. 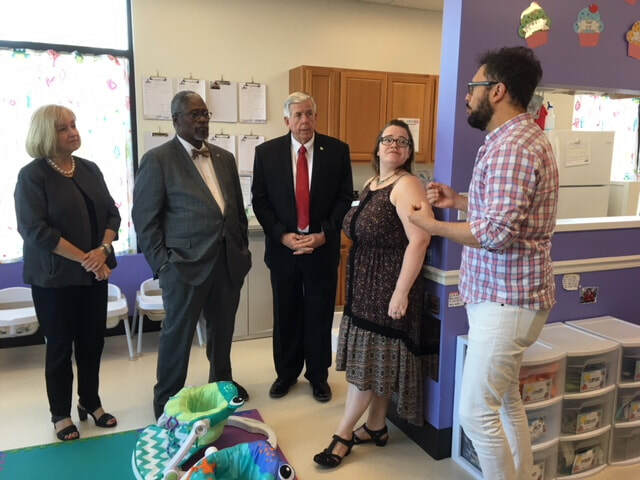 It does require well developed fine motor skills, so it’s better for older kids. While kids create interesting designs, they are also learning about the impact that small changes can have in shape. 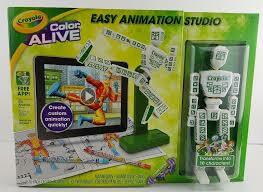 Animation Studios: These are so much fun for young and older kids. 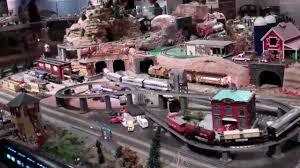 You create scenes with 3D inanimate objects such as Legos or clay or 2D drawings, then using an included camera or smartphone app, make the scene come to life. Kids can make movies by adding music and voice overs. Wouldn’t this make for a fun date night at home too! 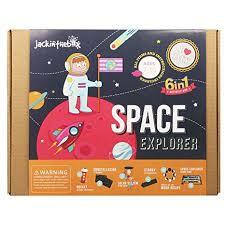 ​Space Explorer Kit: This box has 6 space exploration activities inside. Kids can create a constellation mobile, a star kaleidoscope, and more. I hope these give you some fun ideas for your next gift. 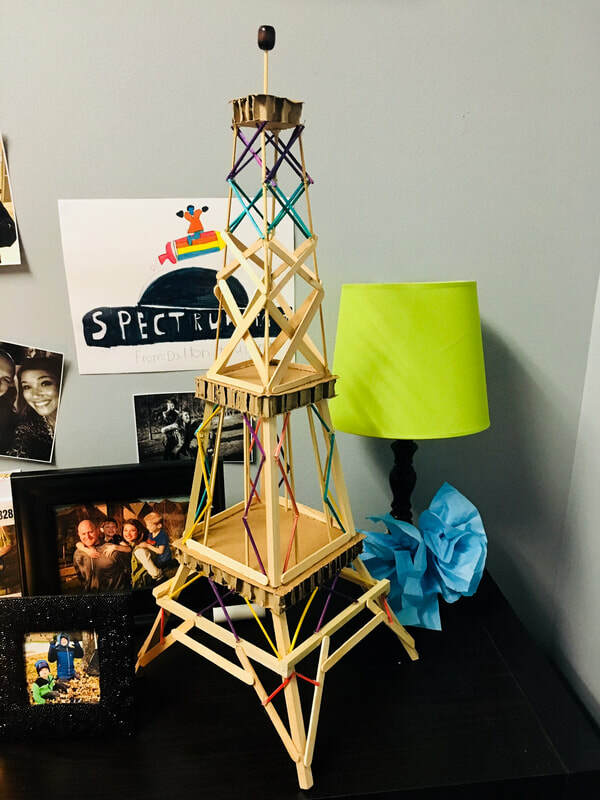 It is by no means a complete list, so hop on Pinterest or Amazon to do a search for STEAM or STEM toys to find the perfect brain building activities for your kiddos. I like to do a themed gift set by adding a corresponding book. If you have a great STEAM toy that I have not included but that you just love, please tell us about it! You can probably relate when I say that I’m in the car A LOT. 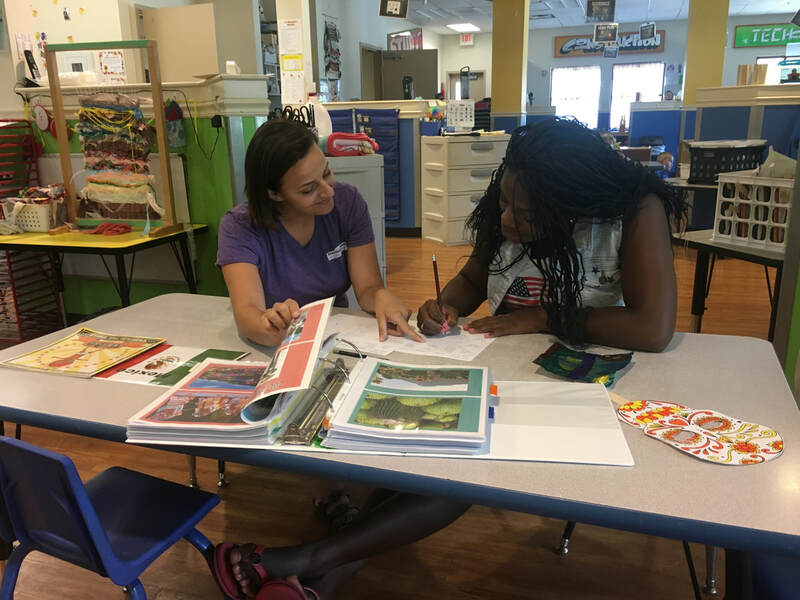 We live in North Kansas City, and we have weekly occupational therapy appointments downtown, twice a week play therapy, dance, drums, swim lessons, and I go into school several times a week to write in peace. As if the traffic, cost of gas, and endless sitting isn’t bad enough, it used to seem that my kids became somewhat possessed as soon as they got in the car. But I recently discovered a cure, and it didn’t require an exorcist. Let me explain. I’m not a big music person, and I really can’t handle that much news, so for several years, I’ve been listening to audio books. I use the Overdrive app so I can check out books through my library account for free. I download the book to my phone and then listen to it over Bluetooth in the car or through my Echo while doing dishes and just about everywhere else. A couple weeks ago I realized just how much my kids were listening and absorbing the material when they started asking questions about the plot line of a historical fiction novel I had checked out. I was actually pretty impressed that they were able to multi-task tormenting each other while listening to a fairly complicated story. The material was totally fine for them to hear, but I thought, if they were really engaged in material that was more relatable could we bring about a sort of peace? This began my obsession with Podcasts. 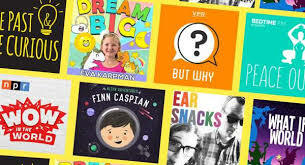 I had been aware of Podcasts, and one of my mommy friends had played them for my kids several times during our vacations together. I just had never really explored them myself. Enter Pinterest. There were so many articles that I got simultaneously excited and overwhelmed. I started putting together a list after exploring at least 20 articles. It took me a while, but here’s the list and a short descriptions of each Podcast so you don’t have to spend the time searching! Aside from providing peacekeeping entertainment, there is a lot of educational value in listening to Podcasts. 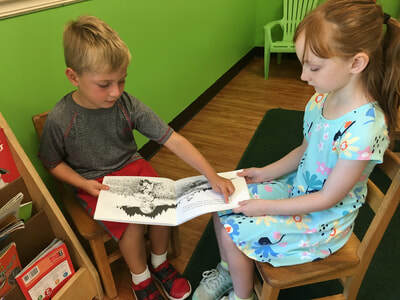 The content is the first obvious source of enrichment, whether you’ve chosen a science rich episode or a classic fairytale, your kids are absorbing thought provoking material. 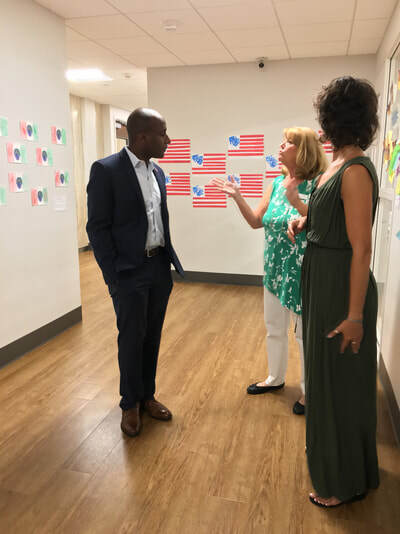 In addition, the simple act of listening expands attention spans and the ability to focus. The added bonus is that you’ll probably enjoy them too and more than likely will learn something new. ​How to listen to podcasts: Download a podcast player app on your smartphone. Stitcher, Podcast Player, or iTunes all work. Open the player and search for the Podcast you want to hear. In the car you can connect to Bluetooth to listen wirelessly. You can also use your Amazon Echo or Google home. Just say, “Hey Siri, Play Houston We Have a Podcast,” and you’re off and listening! ​I feel like did a pretty good job of documenting my son’s first year and a little beyond that. By “pretty good” I mean that I filled in everything in his baby book until he started walking and then proceeded to plaster it with sticky notes of the pictures and milestones I wanted to add. So, yes, my son’s baby book is about 11 pages and a stack of about 300 sticky notes (but they are the colorful ones). And my daughter? Ha! Are you kidding? I think there are maybe four entries in my maternity book with a bunch of ultrasound pictures shoved into it. I don’t really know if I even bought a book for her. I’ve had numerous ideas about keeping a journal with notes to my kids or filling in the quote book someone gave me as a gift. And I start them, but it’s usually just an introductory couple of posts (usually an apology for not handling a particular moment as well as I should have, and how I really do love them more than they can know). Download the free app or sign up on their website at https://www.qeepsake.co/. You’ll begin receiving one question a day about your kids. 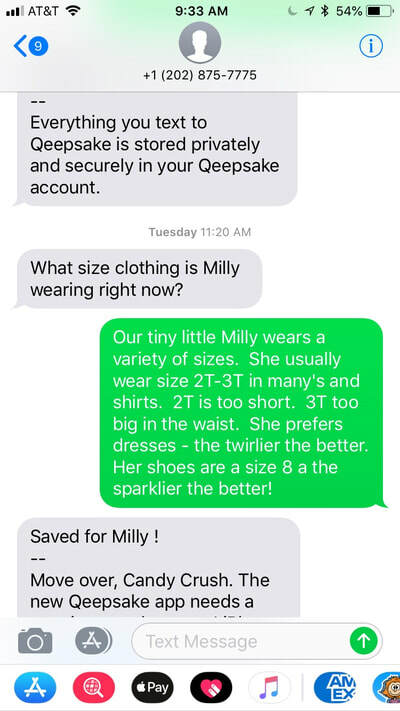 Respond to the message with as short or long of a text as you want, or you can respond to them on the website and app. You can add pictures via the website or app, or you can upgrade to be able to text a picture. You can skip entries or go back and edit entries later. Print hard/soft cover journals as frequently as you like. Q. What is Milly particularly good at right now? 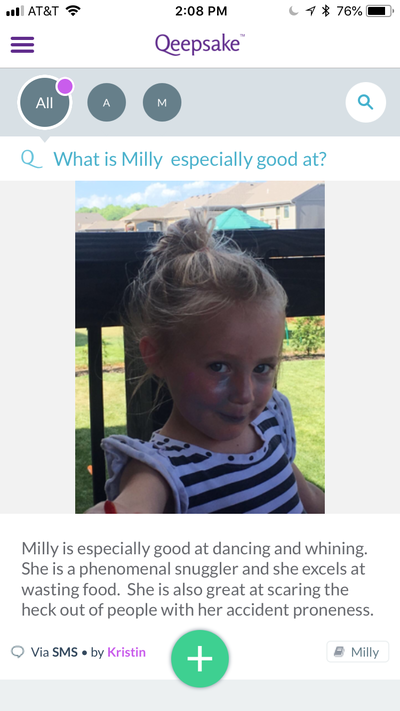 A. Milly is especially good at dancing and whining. She is a phenomenal snuggler and excels at wasting food. She is also really great at scaring the heck out of people with her accident proneness. Q. 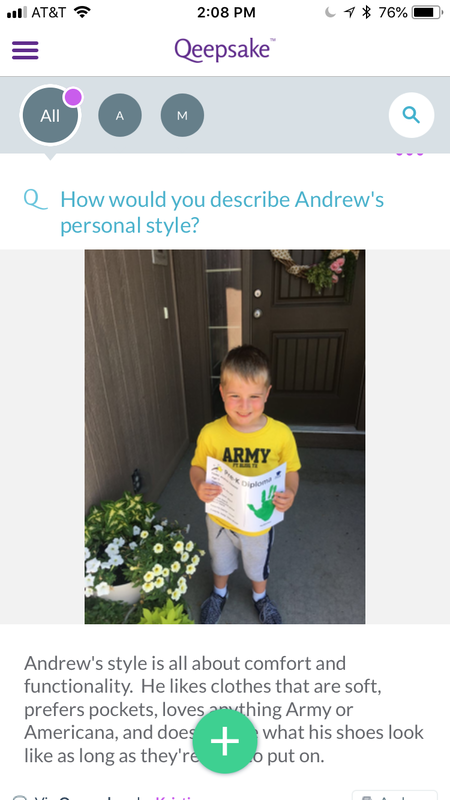 How does Andrew show you love? A. Andrew shows love with hugs and kisses and “I love you Mommy” delivered randomly and frequently. I’ll be in the kitchen and he’ll be downstairs playing. He’ll run up the stairs, hug me, drop and “I love you” and then disappear back down to resume playing. The first couple times I went down to see what he had broken, but I now know that he really just needed to give and get some loves. 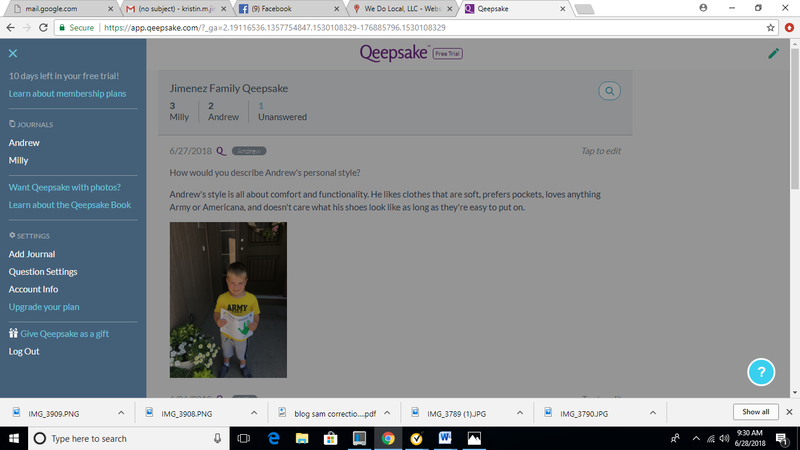 I just thought someone might have the same struggles with documenting the precious, hilarious, tear-jerking, and sometimes painful moments, so there ya go! If you have a service or app that has made parenting just a little easier, please share it! 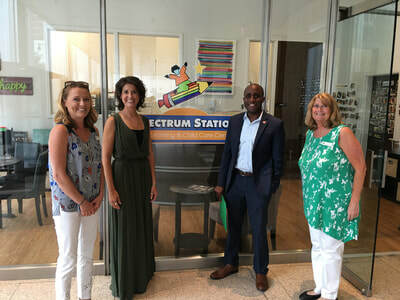 It’s cliché to say but so true that “a picture speaks a thousand words.” These pictures of Spectrum Station summer students and their creation highlight everything a STEAM education program is about and then some. In January I wrote a post about what STEAM looks like in each of our classrooms (Read about STEAM here), but seeing this project come out of our class last week really drives the value of the program home! ​The teachers in the room help to draw attention to different aspects of the activity in order to scaffold the subject matter, cement the learning, and add new levels of challenge, but the students were left to their own innovation. One of the most interesting aspects of project based learning is always watching the interactions between the students: the way they make decisions together, the way the divide up jobs, the way they congratulate or constructively critique each other, and the way the work through a problem before asking for advice. 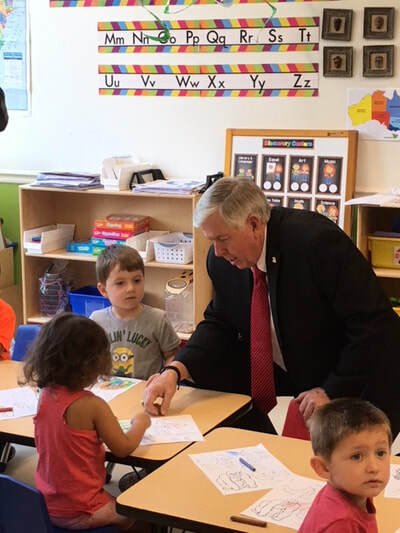 These students will be well equipped to work through the unique challenges that their future educations and careers will present them. ​Our last post outlined a few family friendly activities and itineraries, so this week we’re heading up to the Northland. Before I get to some of the activities we have found and enjoy, I want to share two great on-line resources. 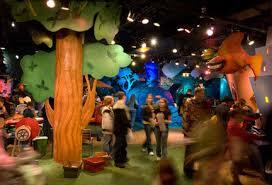 I get weekly e-mails from these sites, and they are packed with things to do for families with kids of all ages. Northland Macaroni Kid: This site has a great calendar specifically for North Kansas City events (including library activities are listed). 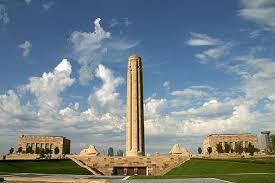 They also have cool articles and comprehensive lists of parks and other sites to visit. 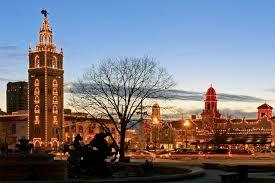 KC Kids Fun: Here you can find tons of events all around the Kansas City area. From festivals to out-door movies and theater shows to open gyms, I don’t think a single thing was left off this list. 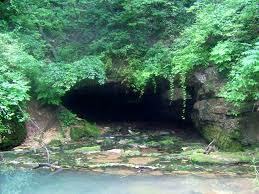 Watkins Mill State Park, 26600 Park Road North, Lawson, MO 64062: I don’t even know where to start with this one. It is absolutely one of our very favorite places to spend the day (or the weekend as this is also our favorite place to camp close to home). You can start out early at the Visitor’s Center to grab a map and take the foot path out to the Watkins House, the gardens and the mill. 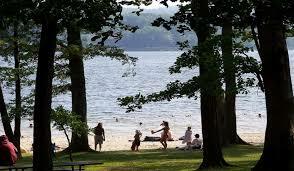 Then jump back in the car to head over to the picnic area and the beach. There’s usually plenty of parking there. Don’t forget to bring your bikes so you can take the trail around the entire lake. It’s a very easy, paved trail and the majority of it is shaded. There are lots of places to take a water break and explore the many streams and rock features. 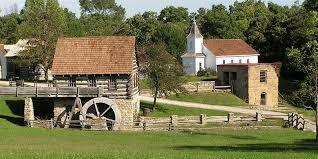 Shoal Creek Living History Museum, 700NE Barry Road, Kansas City, MO 64156: This is an 80-acre park with authentic buildings documenting Missouri history. 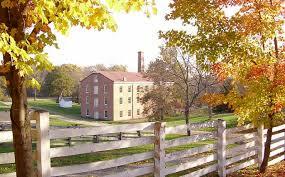 Take a guided tour or wander the trails and explore the buildings on your own. Be sure to check out their website for a list of events. 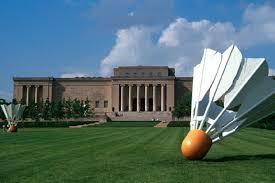 The 1st Saturday of the month sees the place come alive with reenactments and other shows. Parkville Nature Sanctuary, 100-198 E 12 St., Parkville, MO 64152: Okay, so I don’t have a history piece to go with this one, but it is such a cool (temperature and awesomeness) nature trail. Again, the fact that it is nearly all shaded is a huge bonus. We have our favorite path to take (must hit the waterfall first to satisfy my climbers), but there are so many options and ways to explore. 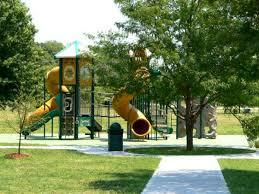 Macken Park: 60 acres of sports amenities and playgrounds abound. There’s something there for every age and skill level. Whether your pre-teens want to pick up a game on the basketball courts or your littler ones need some new options, you won’t have a hard time making everyone happy. 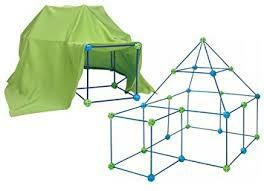 The play structures are unique and will challenge fine and gross motor skills. 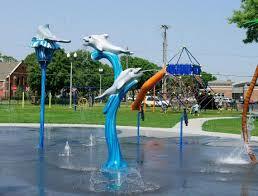 Dagg Park: This park literally has it all without being so big that you have a hard time keeping track of everyone. 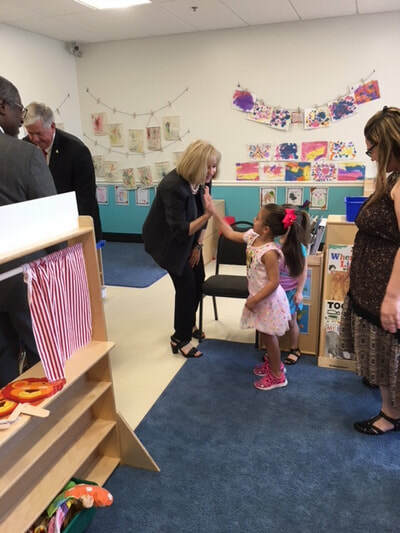 It has a splash pad (water can be such a lifesaver), pavilions, and interesting play structures that you won’t see everywhere else. It also has the added bonus of being near a library and two of my favorite family friendly restaurants, First Watch and Chicken ‘N Pickle. Penguin Park: The cute characters, varying textures and friendly families will have your little ones asking to visit on those not so hot days (not a ton of shade). These were just the ones that my kids request regularly, so if you have any others that I can add to our list, please comment! 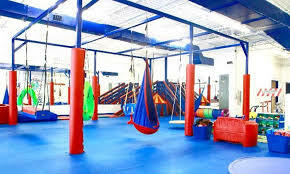 We Rock the Spectrum: A fun indoor gym ideal for kids under 10 yrs. 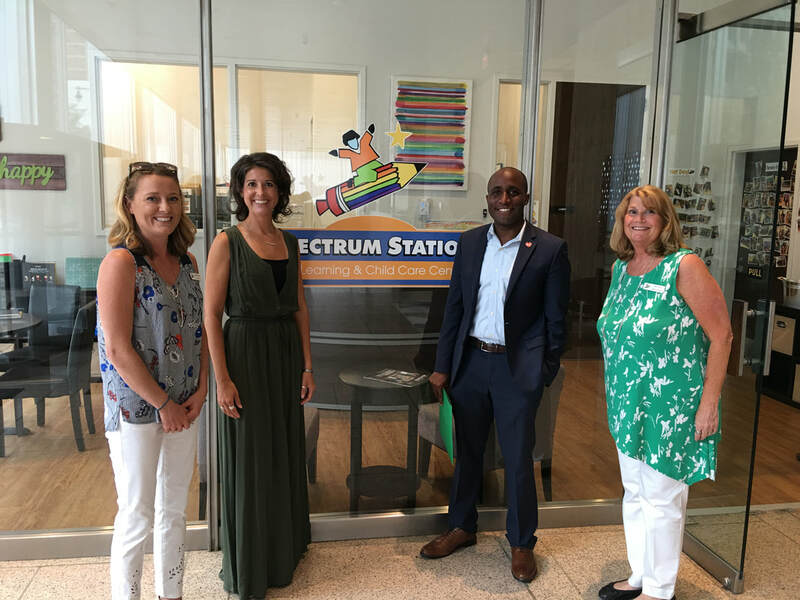 They have a zip line, a constantly changing array of swings, a trampoline, a climbing wall, a creation center, a room with dress up and kitchen play, and a little counter where you can watch all the fun. 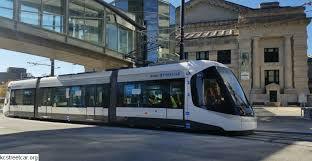 If, after your first visit, you decide you’d come back again, the 10 visit pass is a great option. Fun Run, 1919 Industrial Drive, Liberty, MO 64068: Bounce houses galore, an old time town to climb through, games and a snack bar mean hours of air-conditioned fun. Above All Trampoline Park, 1927 Industrial Drive, Liberty, MO 64068: Not much explanation needed here – a giant industrial room filled with trampolines. You pay per hour, but call ahead because there is a limit to how many people can be in there at one time. B&B Summer Kids Series, All Locations: B&B offers $3 movies at 10am every Tuesday-Thursday. You can see the list of movies by date on their website. Liberty Lagoon at Sleep Inn, 1840 N Church Road, Liberty, MO 64068: Hitting the neighborhood or community pool is great, but sometimes I just have to get out of the sun. 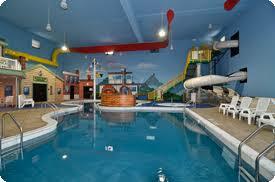 During the week you can swim in their pool and play on the slides for just $10 per person. I particularly like this swim location because you can see every part of it from any location, and it has fun activities for big and tiny kids alike. 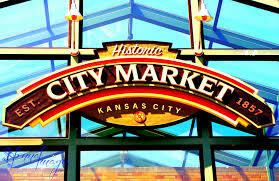 Just as with my last post, this only scrapes the service of what you can do with the family in North Kansas City, so I really hope you will add your favorites below. Coming Soon: The East and the West.